The creamy texture of solid perfume is the perfect medium for Velvet Tuberose. 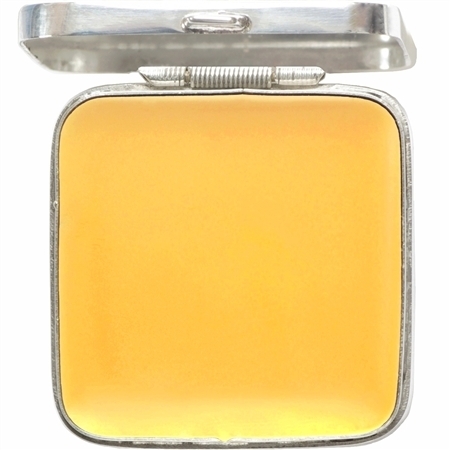 I had been wanting for a long time to create a solid perfume -- that would be worn close to the body -- focused on the opulent and extravagant lusciousness of tuberose. This tuberose perfume has a luxuriant and sumptuous texture like velvet. As a perfumer, I wanted to highlight the various aromatic facets of tuberose: creamy, sweet, languid, narcotic, voluptuous, and astonishingly beautiful. Lazing around the tuberose and providing a sheer but rich foundation is the rare mitti attar: a traditional aromatic essence of baked earth distilled into creamy high-quality Indian sandalwood. It is the scent brought on as rain falls on sun-drenched soil and the earth awakens and breathes forth its heady aroma. Sweet and juicy grand fir and pink grapefruit lock together to create sweet forest notes that lift and vivify the narcotic tuberose. ☞Character: Creamy, sweet, languid, narcotic, luscious, voluptuous. ♫ Fragrant Notes: pink grapefruit, grand fir, transparent florals, tuberose absolute, heady white flowers, creamy sandalwood, damp earth, spun sugar.